Smart-thermostat company Nest Labs has made a deal with Intellectual Ventures, one of the largest U.S. intellectual property holders, to license an unspecified number of patents from the IP giant. In addition to the nonexclusive rights licensing, Nest will also acquire a number of patents of interest to the company, “including systems and methods for automatic registration of devices,” according to a statement released on Wednesday morning. 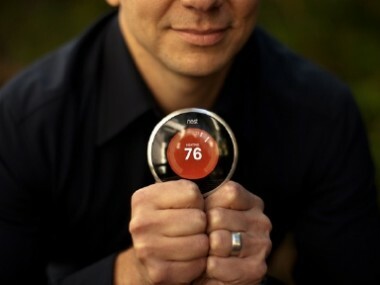 While the exact nature of the patents in the deal are not made clear, it is likely a defensive move by Nest Labs in response to an ongoing lawsuit the company has faced from Honeywell, one of the world’s largest makers of consumer thermostat devices and systems. Honeywell filed suit against Nest in February of 2012, claiming that Nest’s flagship smart thermostat — a sleekly designed product that claimed to save consumers from expensive energy bills and able to be controlled via smartphone or tablet — infringes upon at least seven specific Honeywell-owned patents. It’s worth noting that the licensing agreement also keeps Nest Labs from potential litigation from Intellectual Ventures itself, a firm which has taken an aggressive stance filing suit against companies it believes violate its intellectual property. The firm is notorious for being considered a patent troll — an entity which acquires intellectual property for the express intent of filing suit against other companies — by many in the technology industry. Spokespersons from Nest Labs did not immediately respond to a request for comment on the nature of the patent deal. A Honeywell spokesman also did not immediately respond to a request for comment.